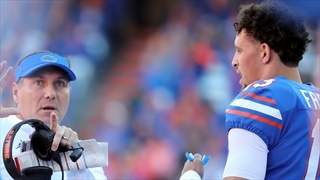 It's been a long road for quarterback Feleipe Franks but one week into 2019 spring practice it's obvious this is the redshirt junior's team. 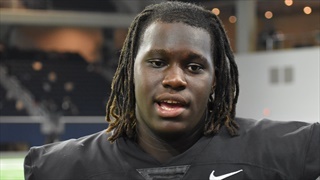 Richard Gouraige is heading into spring practice as a man with a plan and it includes the open left tackle position. 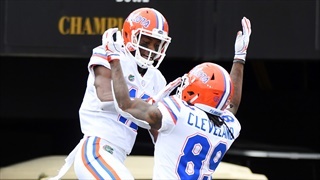 KeVaughn Allen had a big night with two huge moments that made the difference in the Gators overtime win against Ole Miss. 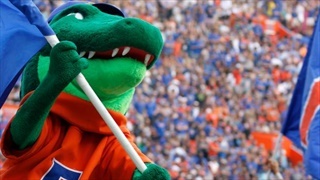 Inside the Gators staffers Kassidy Hill and Mark Wheeler take a closer look at this weekend's match-up between No.10 Florida and No. 7 Michigan, including predicting a winner. 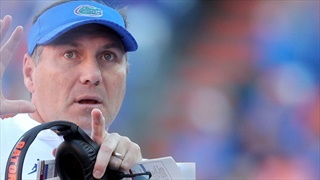 The Florida football program has two main objectives that they hope to achieve with a win over Michigan on Saturday. 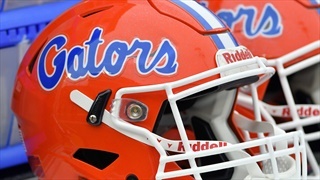 A victory will help the Gators take a step toward rebuilding the UF brand and it will send the seniors out as winners. Though they got in some serious work, the practices over the weekend were a bit on the lighthearted side as Vosean Joseph lined up some at running back, Lucas Krull at defensive end, etc... Now the fun and games of the developmental practices are over and the team is in bowl prep week. 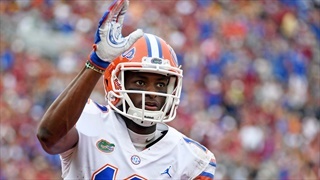 Van Jefferson knew the game was over in the third quarter, but defensive back Chauncey Gardner-Johnson knew it was over before that. 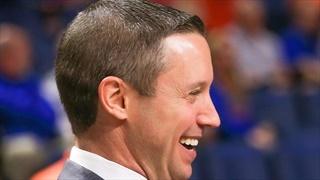 The Florida Gators (2-2) dropped their first game in the Battle 4 Atlantis tournament against the Oklahoma Sooners (4-0) 65-60. 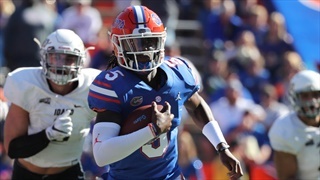 The day that Florida Gators fans have been waiting for all season finally arrived on Saturday when freshman quarterback Emory Jones played a majority of the game in the win over Idaho. 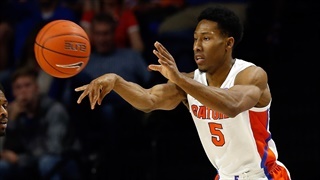 The Gators men’s basketball team (2-1) secured their second straight win on the season Thursday night with a 82-69 victory over La Salle. 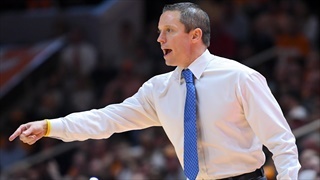 Powered by a strong showing in the second half, Florida overcame their struggles from the three-point line to remain perfect at home on the year. 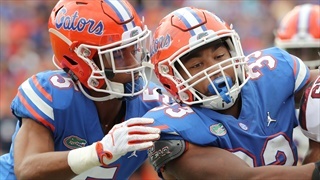 After allowing South Carolina to walk up-and-down the field to start the game, Florida's defense finally stiffened late in order to aid in the Gators come from behind victory. 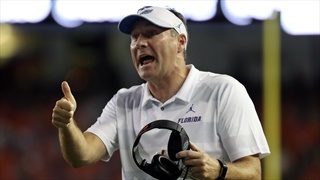 So as not to allow the 2018 season to spiral out of control after dropping their last two contests, Florida is looking for answers on the field and leaders in the locker-room. 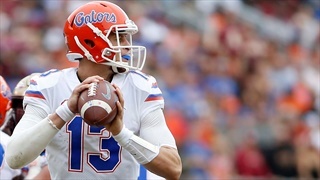 For the third week in a row the Florida Gators defense will be faced with a dangerous quarterback and an offense that can strike quick. 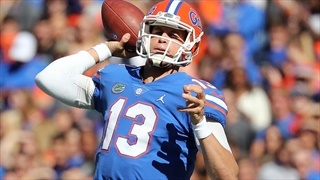 Nine former Florida football players share their thoughts on the Florida-Missouri game, Dan Mullen and the play of the Gators quarterbacks. 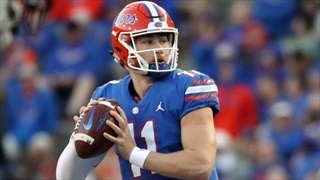 Could Florida be in for a quarterback controversy after Kyle Trask provided a spark to the Gators' offense after coming in for struggling starter Feleipe Franks? No. 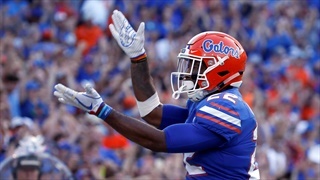 11 Florida and Missouri will face off at 4:00 p.m. in the Swamp. 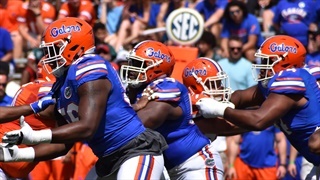 Inside the Gators has all the pertinent news and links to keep you informed about all of today's action.